“If you want to run, run a mile. Running a marathon is not something you will be doing every day. Unlike sprinting for 100 meters or running 3 miles around your local park, running the marathon distance for 26.2 miles (or 42.125km) requires focus, commitment, planning, good decision making and the right physical preparation. More and more people are taking part in marathons for various reasons (personal challenge, running for fitness, running for charity, visiting another city/country, lose weight, get a sense of accomplishment, lifestyle change etc.). As beginners we typically follow a 12 week marathon training programme targeting a specific time and rely on training advice provided by the marathon event organiser, the various running magazines, the marathon training books, the experienced marathon runners from the running club, friends who have ran a marathon before or the charity team supporting those who will run for a cause. There are so many sources of good advise! However, especially beginners are often overwhelmed by all the information available and end up frustrated when it comes to making decisions about marathon training. 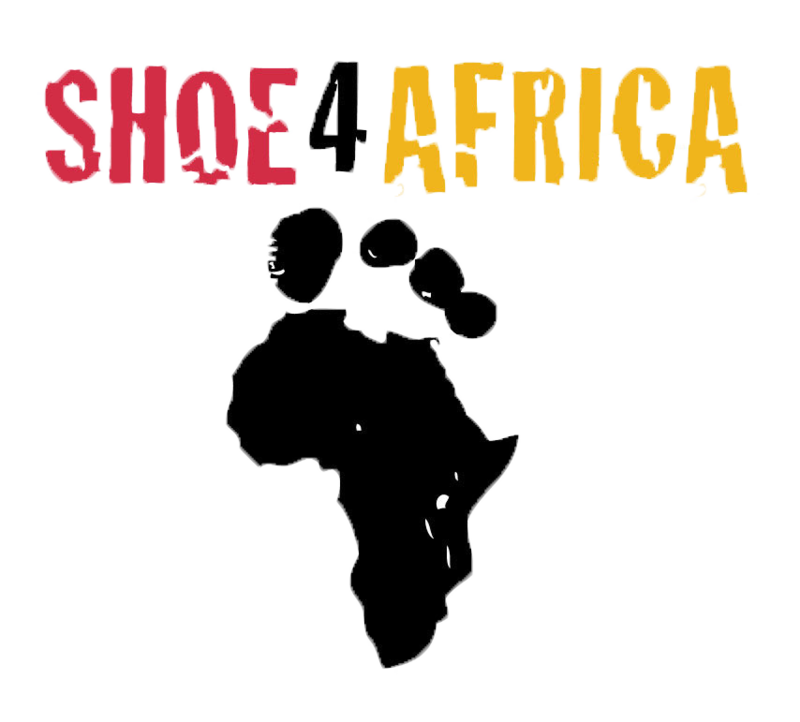 It is a similar story for the more experienced marathon runners belonging to a running club. When it comes to marathon preparation the advanced marathon runner draws up a training plan, though very quickly he is faced with conflicting agendas, i.e. the running club’s goal vs. personal running goals. As a good club stalwarts we want to support our running club as good as we can and want to take part in team competition. For example, cross country league, road relays or track & field leagues. On the other hand, especially the more devoted marathon runners want to train as hard as possible for a new marathon PB. When training for the marathon the goal is very clear and so are the training priorities, though often we have to accommodate a number of races for the club as part of the programme and while balancing volume/intensity the risk of injury is always present. Often we find that the runner has over raced during months of marathon training which resulted in a disappointing marathon performance or in some cases the runner has never reached the start line for the marathon and got injured in the process. Even experienced marathon runners have to make the right decisions when it comes to race planning and marathon training and a fine balance need to be drawn between the club’s and personal interests. Training plans (especially those available for free from the Internet) are targeted at a wide audience, based on a generic structure, focus on developing your endurance and provide guidance how to progress a long run over a 12 week period. Eventually once we have managed to work through a training plan and have ultimately completed the first marathon we are often very keen to get better, improve our marathon finishing time, reach a new standard or want to exploit our full competitive potential using the latest training methods. While following a generic marathon plan can provide good results, at best the plan will not take the individual’s work/life constraints, strength and development needs or the specifics of the marathon course into consideration. Quite often once started on a generic schedule, we have a dilemma which schedule to choose . The sub 4h or sub 3:30h schedule? The 12 weeks or 16 weeks programme? The 30 or 60 miles per week option? Running 3x or 6x a week? As a compromise we opt for a new combination, e.g. sub 3:45h, 14 weeks schedule, and based on 40 miles per week and find ourselves in a situation where we are not sure about the whole plan and how all components of the training plan add up and deliver the benefits we are looking for. Unfortunately, most of us have a hectic work life and do not know for certain how much time can be put aside for training for the next 3 months. Especially beginners have to face many decisions when preparing for the marathon and circumstances change frequently as well. For example, a planned holiday during the main marathon training period, busy work period, can the weekly five a side football or gym visit form part of the training, excessive travel or simply the working hours would not allow 4-5x week training for 1h. When there is no feedback loop and assessment in terms of how well we are doing against the plan and corrective actions to get us back onto the plan then we find it challenging executing and managing a training plan which provides bigger challenges than running the actual marathon! A marathon training plan provided by an experienced running coach can overcome all these obstacles and a running coach will be able to tailor the runner’s individual requirements to the needs of the marathon event. As a coach, a guide through the marathon training process, the marathon training experience will be more personal and engaging. The learning and quality of decision making during marathon training will be better which leads to better performance. What is different about training for the Marathon? Running 26.2 miles is a long way. For some of us it will take 3 – 4 hours, while others can complete a marathon in under 2:30h. The training volumes (how much you will run) and intensities (how fast you will run) will differ based on your level of ability. Looking at the event specific demands for the marathon, the marathon is predominantly an endurance event. For an endurance event when running at a set marathon pace 99.9% of the energy required by the muscles relies on the oxygen we consume while running. In contrast, when we sprint for 100 meters we run at our maximum speed for a few seconds without requiring oxygen. At the same time, the aerobic system and more specifically aerobic power can be developed with a method called interval training. Running 2 to 5 minutes repetitions at your 10k race pace can boost your ability to consume oxygen, which when developed appropriately over many weeks can strengthen your aerobic system as a whole. Important is to keep the intensity at a 10k pace level. For example, advanced marathoners running 5x 1.5 miles at your 10k pace with 2 minutes 30 seconds recovery will boost aerobic power but also provides them with the benefit of running at a faster cadence/leg speed, which again helps to develop better running economy and become more efficient in all other training sessions. Important for the interval training is not to run too fast as this will only deplete the (limited) muscle glycogen stores, which require time to replenish. In addition, to running long distances and at a faster pace, training the body to run at a marathon pace can help the body to get used to the pace and teach the body to consume energy in the most effective manner. For example, when we are running too fast the body relies on glycogen (a source of energy) in the muscle to produce energy. The body has limited muscle mass and therefore limited glycogen stores, so we need to be aware of not running too fast early on in the marathon to use up all energy depots in the muscles. If that happens then typically we hit the “wall” which is the name of the effect when the body ran low in muscle glycogen. At this point we cannot maintain a set pace anymore and are forced to slow down. However, when running at a lower intensity, the body uses energy from our fat depots. For most of us, even on a low body mass index, we have enough fat resources to keep us running for a couple of hours. Hence, the training at marathon pace becomes very important in particular to those wanting to improve their marathon time. The more we can train at marathon pace, the better our body gets used to the intensity and the more economical we become running at our goal marathon pace. Marathon training is not all about running as many miles as possible. Running a set pace for a couple of hours requires a strong set of “core” muscles. A blended strength & conditioning programme as part of the weekly training can strength and improve all muscles groups engaged in the running action. Integrating all training components, such as easy runs, medium long distance runs, marathon paced runs and the long distance runs into an integrated training programme is the key to smart marathon training. An experienced running coach has been through this process many times with athletes. The marathon training programme is suitable for runners looking for improving their marathon time. Ideally, runners have some running background, have been training on a regular basis and have completed a first marathon and are looking to exploit their running ability further. Initial consultation and assessment session. A tailored integrated training programme to meet your unique needs. A 16 weeks / 4 months training programme. Feedback through regular contact (face-to-face, e-mail, phone, SMS, etc.). Ongoing coaching support throughout the marathon training programme. Marathon training programme includes training programme and coaching support for 4 months. Initial consultation and assessment session included in the programme. 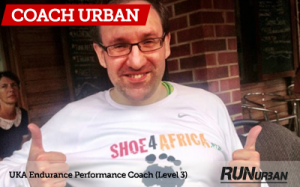 If you are interested in the RunUrban Marathon Training Programme and want to be coached by Coach Urban then please get in touch here and tell us a bit more about your running background. – Karine, 2:50:40, ING Amsterdam Marathon, 10th place. Coach Urban Bettag is an experienced coach of distance runners and prepares runners of all abilities and level of experience to compete in marathons. As a runner Coach Urban has completed all world marathon majors – New York City Marathon (7x), Boston Marathon (1x), Chicago Marathon (1x), London Marathon (1x), Berlin Marathon (3x), Rotterdam Marathon (1x) and Fukuoka Marathon (1x). His first-hand marathon running experience, own improvement in running marathons (3:56h to 2:43h), understanding of marathon training methods, expert knowledge of the running literature (English and German), familiarity with most popular (big) city marathon courses, learning from renowned distance running coaches as well as leadership development coaches and many years of practical coaching experience of preparing runners for the marathon including first timers and sub-elite marathon runners will be beneficial to any athletes preparing for a marathon and looking for guidance from an experienced running coach. 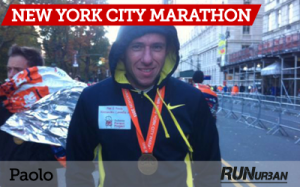 Coach Urban is a qualified Level 3 Endurance Performance Coach since 2006. He is accredited by the national sports governing body for athletics in the UK, British Athletics and England Athletics. 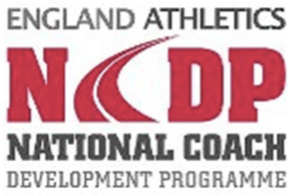 He is part of the England Athletics National Coaching Development Programme (NCDP).